Events & Festivals | Shop. Eat. Play. Explore. Celebrate and explore our City through its events and festivals. For up-to-date information and more great event listings, visit lloydminsterchamber.com. Help us feature all there is to experience in Lloydminster and the surrounding area! Submit an event to Discover Lloydminster below. Start planning your adventure in Lloydminster and area. 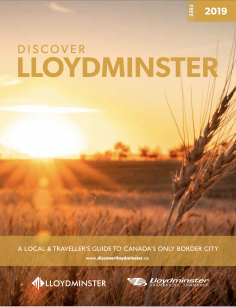 Download a Discover Lloydminster guide here, or pick up a physical copy at the Lloydminster Chamber of Commerce.